A good example of this is today’s news regarding the San Antonio Spurs moving disgruntled forward Kawhi Leonard to the Toronto Raptors. Upon hearing the returns San Antonio received in the deal, more than a few Cleveland fans were under the belief the Cavs could’ve offered a better package. Surely if the team did so, Leonard could’ve been a Cavalier, potentially convincing James to stay home. As easy as it may be to fret this, I’d advise you not to waste your time. Trust me when I say Cleveland trading for Leonard was probably never going to happen anyway. To recap, Toronto landed Leonard (and Danny Green) by sending back DeMar DeRozan, Jakob Poeltl and a very heavily protected 2019 draft pick. It’s certainly not the haul many reported the Spurs were after, and it’s fair to wonder if sending a package including Kevin Love and Collin Sexton would’ve instead brought Leonard to Cleveland. Again, though, worrying about this isn’t time well spent for multiple reasons. The first, and most obvious reason is the simple fact it changes nothing. Fretting about what the Cavs may or may not have proposed doesn’t bring James back, nor does it reroute Leonard from Toronto to Cleveland. On top of this, think of how much has changed since it was last rumored the Cavs were expressing interest in a trade with the Spurs. Initial reports of this started cropping up before the draft. Back then, rumor had it Cleveland did offer Love to San Antonio, but were rebuffed. This was mainly due to the Spurs demanding far more in exchange for their star than what they ended up getting weeks later. So, while the idea of Love and the rights to the eighth overall pick sounds a little more appealing than DeRozan, Poeltl and a heavily protected first-rounder, this wasn’t the case back when the Cavs were still pursuing a deal. Let’s pretend for a second that San Antonio did show interest in a trade centered around Love, and that Cleveland had a legitimate shot at acquiring Leonard. Even in this scenario, it’s still impossible to believe the trade would’ve gone through. This is likely because the Cavs would’ve sought a commitment from James before pulling the trigger. While this is something he’s notoriously never been willing to offer, Cleveland wasn’t going to make a move like this without getting some indication its superstar player was willing to stay put. This is especially true considering how gun-shy the Cavs were when it came to moving their first-round pick. There’s no way they’d be willing to part with a key piece of the future if they couldn’t get even a little reassurance James would be on board if they could nab Leonard. As we’ve since learned, not only was James unwilling to tip his hand in free agency, his move to Los Angeles was being planned far earlier than this summer. 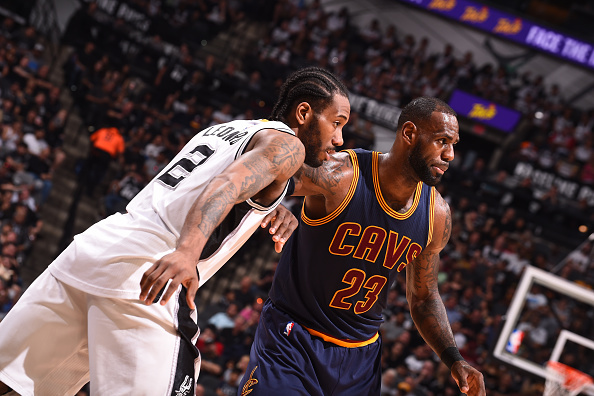 Had Cleveland sweetened the pot in a desperate attempt to trade with San Antonio, not only would the team be left without James, Love and Sexton, it’d also probably lose Leonard the following season in free agency. Simply put, the Cavs aggressively pursuing this deal and offering a better package than the one Toronto eventually assembled would’ve left them in shambles. Naturally, as soon as James left, the idea of Cleveland pursuing a trade for Leonard was thrown out the window. Why send what valuable assets remain on the team for one year of the former Spur’s services? So, while doubting Cleveland’s front office for moves it failed to make has become a popular habit lately, this is one case where you can’t fault the team. It’d be easy to say the Cavs could’ve offered more, but the reality is doing so would’ve set the team back even further than it finds itself today.